Twenty-seventeen was an amazing year for me in terms of seeing birds. 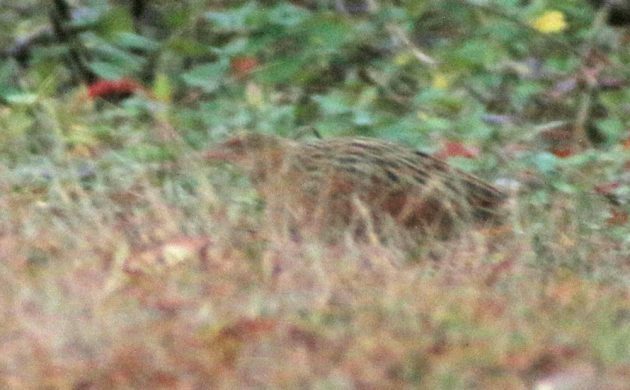 I’ll do a full rundown of the year at some point in January but in the meantime I thought I would see if I could come up with a list of my ten best species for the year that is about to finish up. Visiting Puerto Rico, Austria, Lichtenstein, Switzerland, the Bahamas, Belize, and Guatemala, to say nothing of Maine, California, Pennsylvania, New Jersey, and my local birding in New York State, made this an extremely difficult year’s birding to whittle down to ten birds. Nonetheless, I’ll try. Atlantic Puffin, Maine: Hammond’s Flycatcher, New York: Yellow-shouldered Blackbird, Puerto Rico: Swainson’s Warbler, New York: Puerto Rican Tody, Puerto Rico: Henslow’s Sparrow, New York: Painted Bunting, Bahamas: Smew, Austria: White-tailed Tropicbird, Puerto Rico: White-throated Dipper, Austria: Least Bittern, California: Ruby-throated Hummingbird, New York (pictured above). Adding two new birds to my Queens list this year was one less than I had hoped for but one better than I did in 2016. And both were birds that I have long been anticipating adding to the list. 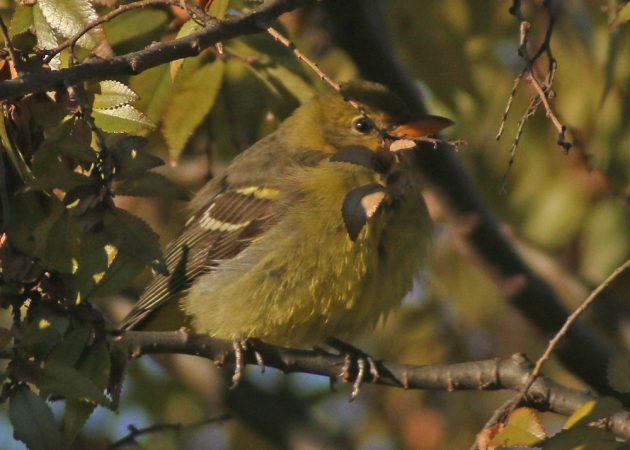 That the Western Tanager (or a second one) stuck around through the Christmas Bird Count was icing on a particularly satisfying bird-cake. Or something. I love doing the Christmas Bird Count and I love birding Queens. That I am the compiler of the Queens County Christmas Bird Count is like awesomeness piled on top of good times. And few things are as fun as finding a really good bird for a Christmas Bird Count. 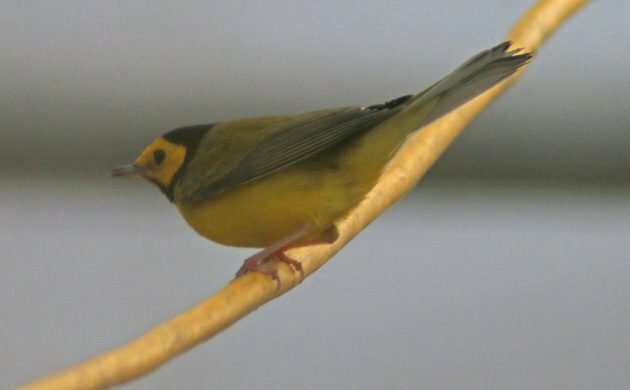 So this Hooded Warbler, which was a first for the Queens count, was an extra-special bird to find and brag about. Wastewater treatment plants are always worth birding! Taking the family on an hours-long odyssey to the Adirondacks to see a life owl is not something I was expecting to do this March but, somehow, it happened. Great Gray Owls are amazing birds and getting Desi and Daisy on the bird was the best way to see my first one even if Desi was more interested in pelting me with snowballs than in looking at the owl. 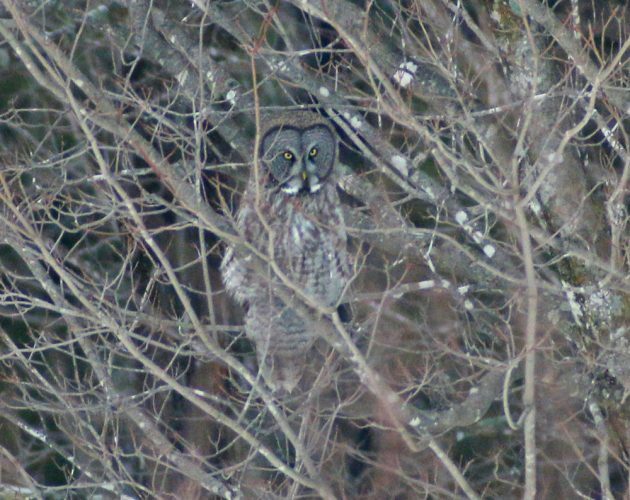 Here’s hoping a Boreal Owl shows up this winter that we can go looking for! 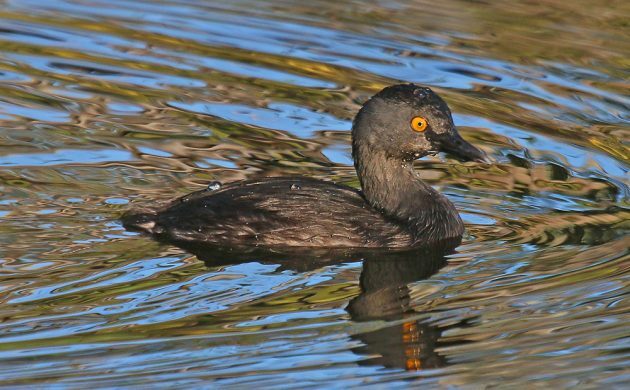 Somehow, inexplicably, despite multiple visits to the Neotropics, I had never seen a Least Grebe before this February in the Bahamas. The Lakeview Drive Ponds on Paradise Island were a wonderful escape from the craziness of a resort-style vacation and Least Grebe was easily my favorite of the birds that I saw there. There were several, they could be cooperative, and I had never seen one before. And what’s not to like about the smallest grebe in the world? Visiting Tikal in Guatemala on a day trip from our family vacation in Belize was an experience none of us will soon forget. The rainforest, the temples, the monkeys, the birds! We would love to get back to Guatemala someday for more than a day but the day that we had was pretty exciting. And seeing the technicolor turkey of Guatemala wandering the ruins was a cherry on top of the Tikal sundae. 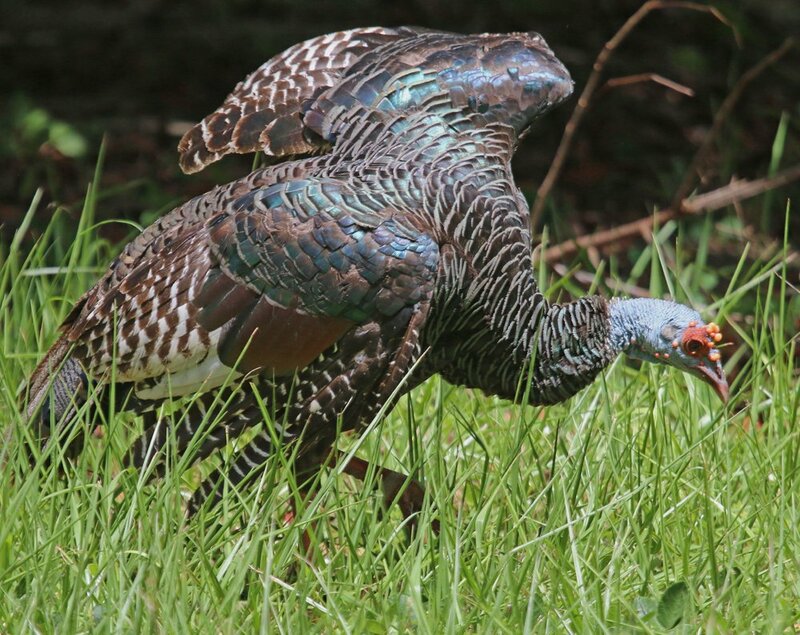 Wild Turkeys are pretty cool but they pale in comparison to the Ocellated Turkey. A van-load of birders in Austria with some time to kill? 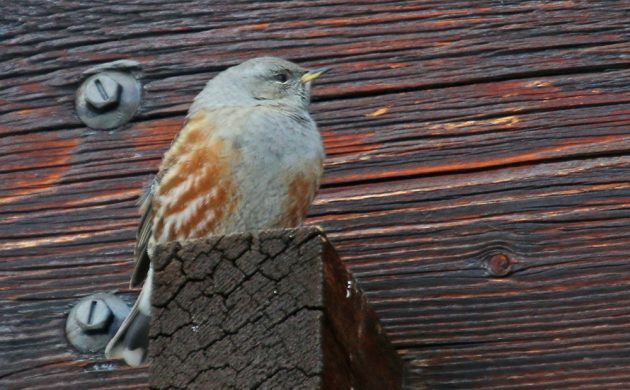 Why not take an afternoon’s drive to Lichtenstein, drive up to a ski resort where everyone else is dressed in fluorescent snow gear, and wander around like ragamuffins while looking for birds? In one of the weirdest birding outings I’ve had the good fortune of participating in we explored the high elevations of Lichtenstein and found several life birds including this particularly pleasing Alpine Accentor, a bird I highly recommend checking out yourself someday. This massive stork was my most anticipated sighting on our family trip to Belize. That we almost missed it made it even better once we saw it, and that Daisy is the one who actually spotted means I will never be allowed to forget the sighting. 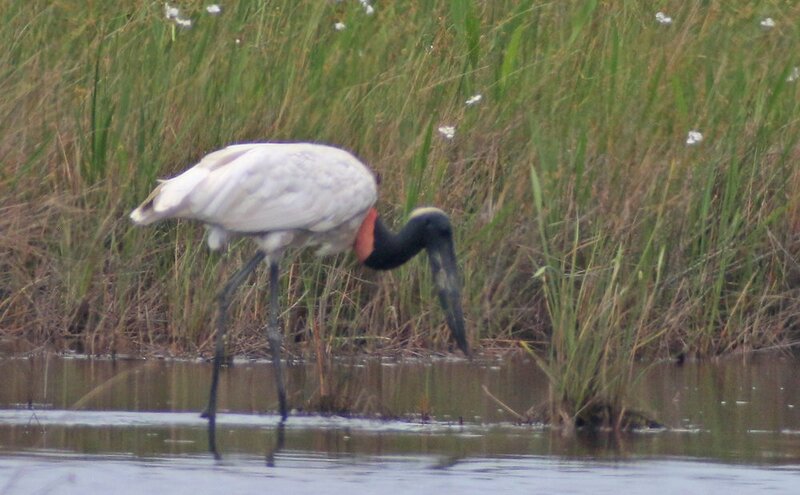 Seeing it alongside Roseate Spoonbills, usually the marquee bird to look at when they are present, made it abundantly clear just how cool a bird a Jabiru is. Mike and I had an amazing trip to Puerto Rico during which we swept the endemics in only four days! Considering the devastation that hurricanes wrought in Puerto Rico later in the year it is a good thing we went when we did and both of us are hoping that both the people and the birds of the island recover. 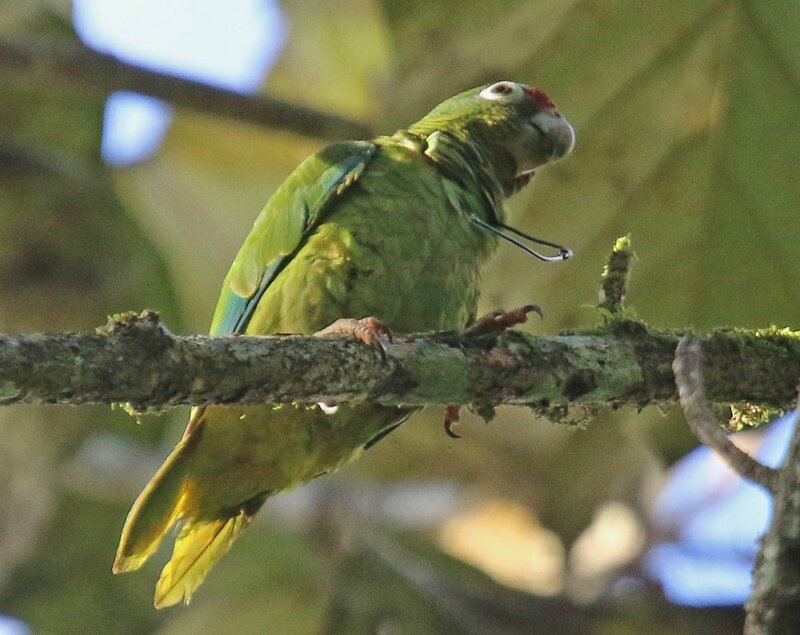 But seeing a Puerto Rican Parrot, a species that nearly went extinct and is still just hanging on, was the highlight of a trip full of highlights. Here’s hoping that this charismatic bird lasts for a long time to come! This floaty, pink-winged, astounding bird was a lifer and I saw it on a castle in Austria. It’s astonishing that such a creature exists, much less that I got to see it. What more needs to be said? Nothing, that’s what. 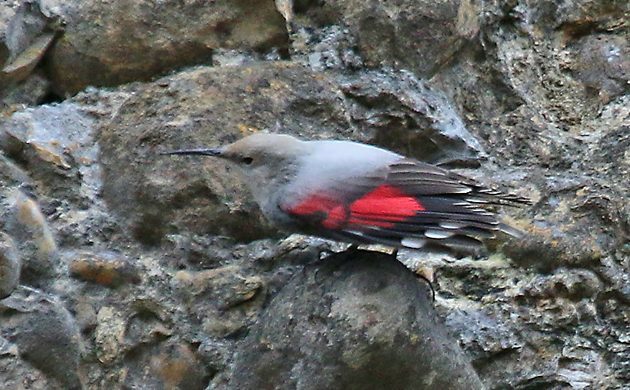 Most years Wallcreeper would easily be my top bird for the year. When this bird was first reported on the south shore of Long Island I was working and then doing turnout for election day. It was one of those days that I just could not bag off and go on a twitch. Fortunately for me, the bird stuck until the next morning when Zach and I refound it before the sun came up. We enjoyed our views but the circus that the sighting became drove both of us away (and in search of other birds) before the light got strong enough for me to get good digiscoped images. Still though, I enjoyed “Crakey” a great deal and was bummed out when I learned that it was found dead the next morning, the victim of a car. Corn Crake is one of those birds that you read about in the North American context in historical ornithology texts, never expecting one to show up in a spot where you can twitch it, mostly because a chaseable Corn Crake had never occurred in North America before. 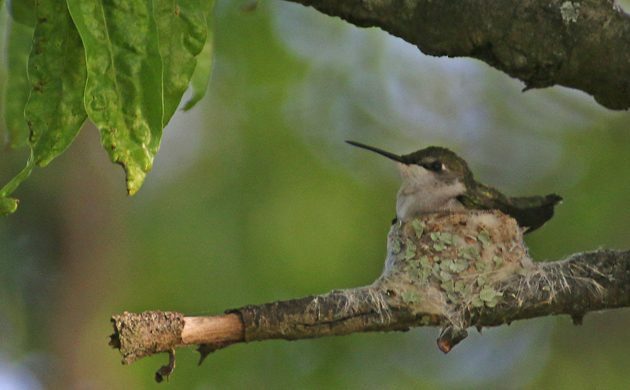 A once-in-a-lifetime bird deserves the top spot and Crakey takes the cake. What were your best birds of 2017? Let me know in the comments. And here’s hoping 2018 is as good as 2017! Your Least Grebe and Ocellated Turkey are my favorites of your top ten. For me, my first Lazuli Bunting and Bullock’s Oriole in Eastern Washington State. Cinereous bunting: an unexpected find in the Paphos Archaeology Park, Cyprus. Little Bunting: A Saturday morning twitch to see the 3rd record of this rather cute species in Lothian. Hoopoe: this was my first Scottish sighting of this exotic looking bird more common in the Mediterranean. European Bee-eater: seeing hundreds of them moving over western Cyprus in early May. European Roller: an explosion of blue in the green Cypriot countryside. Spotted Redshank: an obliging juvenile was the first I had seen at Musselburgh for nearly 20 years. Temminck’s Stint: seeing two at Musselburgh on Spring passage, this species is always welcome. Red Kite: one nearly flew over our heads in Perthshire this summer. Great Grey Shrike: i always enjoy seeing shrikes so seeing a Great Grey by the Great North Road (aka the A1) in East Lothian was pretty special. Bohemian Waxwing: The winter of 2016/17 was a Waxwing winter in Scotland and there were plenty around including a flock I could watch from my house which was there for three days.